Benedetto da Rovezzano (1474–c. 1554) is not exactly a household name. As a rule, he is thought to have only two claims to fame, both of which fortuitously link him with Michelangelo, who was his almost exact contemporary. The first is that in 1508 he was given the responsibility to chase and finish Michelangelo’s lost bronze of David (1502), which has not been seen since the French Revolution. The second is that he was the only living artist – apart from Michelangelo – to be accorded a biography in the first, 1550 edition of Vasari’s Lives of the Artists, the reason being that by that date he was blind, and consequently unable to work. 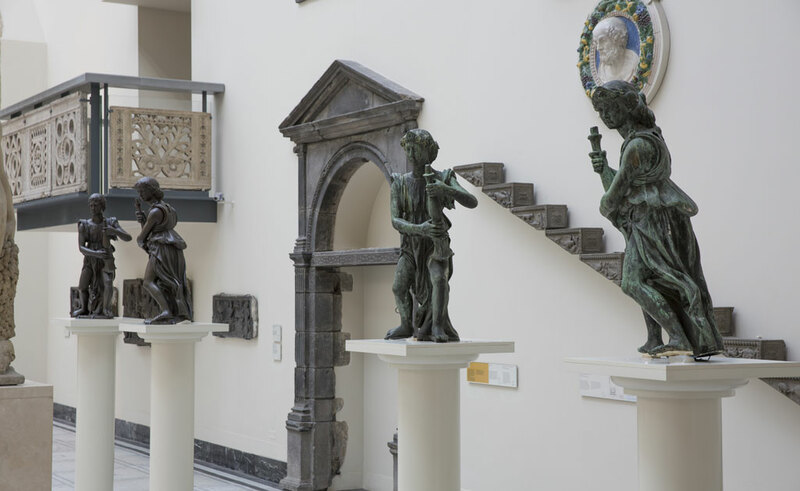 It might therefore be wondered why the Victoria and Albert Museum, which houses the national collection of sculpture, decided to spend £5m on four bronze angels holding candlesticks by Benedetto, and – a fortiori – why they should be Apollo’s Acquisition of the Year for 2015. Impressive though they are, it has to be admitted that their principal attraction is not aesthetic, but has to do with their importance for the history of sculpture in Britain. For Benedetto, like Pietro Torrigiano, the Florentine sculptor who broke Michelangelo’s nose when they were both teenage apprentices of Bertoldo di Giovanni, was that rarest of birds, an Italian artist who made his way to England in the early 16th century. Torrigiano’s masterpiece was the tomb of Henry VII and Elizabeth of York, completed in 1518, which to this day remains the centrepiece of the Lady Chapel in Westminster Abbey. However, it would have been rivalled in artistic ambition and surpassed in sheer grandeur by Benedetto’s tomb of Cardinal Wolsey, on which these angels were intended to surmount the nine-foot-high corner pillars, had that project not foundered on the rocks of a catastrophic reversal of political fortune at the hands of Henry VIII. After the confiscation of Wolsey’s possessions in 1529 and his death the following year, the king appropriated the angels, and promptly commissioned Benedetto to create a tomb for him. In the event, Henry’s tomb was also unfinished on his death in 1547, seven years after Benedetto had returned to Florence, and was never completed. Four bronze candlesticks from it found their way to St Bavo’s Cathedral in Ghent, and the stone podium and sarcophagus were incorporated into Nelson’s tomb in the crypt of St Paul’s Cathedral. One pair of angels surfaced at an auction in London in 1994, when they were all but overlooked, but were subsequently identified both as the work of Benedetto and as having come from Wolsey’s tomb. Even more remarkably, the second pair were found at Harrowden Hall in Northamptonshire, now the Wellingborough Golf Club. After all their trials and tribulations, their final resting place could not be more reassuringly appropriate. The Wolsey Angels, 1524–29, by Benedetto da Rovezzano (1474–c. 1554), four bronzes, ht 1 m each (approx.). Acquired with contributions from the National Heritage Memorial Fund, the Art Fund, the Friends of the V&A, the Ruddock Foundation for the Arts and private individuals and trusts, and a gift in memory of Melvin R. Seiden. Click here for our coverage of the successful public campaign.